Real authors. Real books. Real help. Luminare Press offers the best in hybrid publishing services: Outstanding custom cover designs, professional interior formatting and ebooks are all part of our basic print on demand package. In addition, we offer every service you might need, from editing to marketing tools, and our authors keep 100 percent of their book royalties. But what you really get if you work with us is our attention. We are here to guide you through the process of self-publishing, to educate you and help you make the best decisions for YOUR book. We don’t have a cookie-cutter approach: we appreciate the fact that each book we work on is unique, and we treat our books and our authors with care and respect. When you call us, you’ll get a real live person who can answer questions, offer reassurance or advice as needed. From the start, we help you determine what your book needs to be successful, and will never, ever try to sell you anything extra. In fact, we’re far better at publishing then we are at sales. Schedule a time to talk with a project editor. Want a quick and easy-to-read explanation of the self-publishing process? 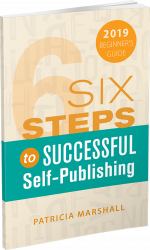 Download Six Steps to Successful Self-Publishing for Kindle, Nook or more.